BONBON BOMBAY IS EVERYWHERE IN SEPTEMBER AND SHE IS TEACHING TOO! Sail the night away for the Montreal Burlesque Month! This is one classy way of launching an event! 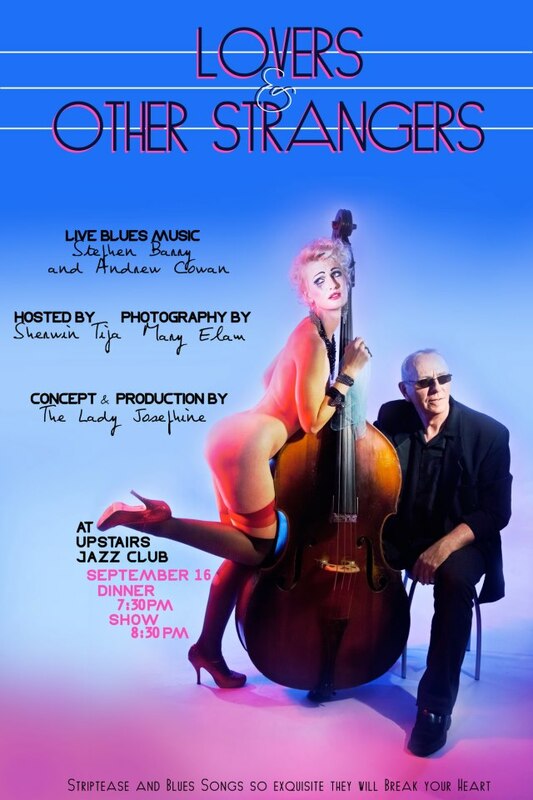 Want to learn more about the Art of Burlesque? Join award winning burlesque artist Lady Josephine and BonBon Bombay in a weekend intensive that will cover everything from the history of burlesque to taking in all off in a sensual tease! Their adventure continues September 22th in St-Jean-sur- Richelieu, QC for “Le Festival De l’Horreur et Du Fantastique” at l’Hotel 54- Quebec’s biggest haunted house! Join two award-winning international performers, Miss Bonbon Bombay and The Lady Josephine, in an exciting movement class that caters to beginner burlesque enthusiasts and novice performers. During this two-hour exploration of ‘the Art of the Tease’ we will learn a simple and sensual dance choreography. Using this dance sequence as our building block, we will explore how to build tension in a reveal. Techniques include focus of personal energy to entice your spectator(s) and creative manipulations of costume. Come learn how to remove a glove in ways that will make them swoon! 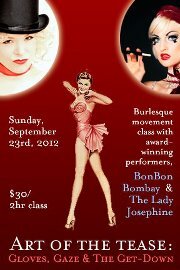 BonBon Bombay will be doing THREE performances for The Montreal Burlesque Festival!!! Saturday, September 29th, 2012 Something special for the 8pm show and performing with a Rock Band for the midnight show!!! !